This article is about the French Tennis Player Nicolas Mahut, who is having the record of playing the longest professional match making several other records. Here is provided the career, profile and records of this player alongwith his ranking details. Nicolas Mahut is a French Tennis Player. 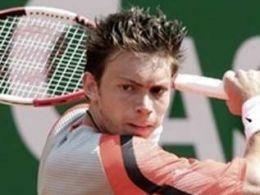 Born on January 21, 1982, Nicolas Mahut is the record holder of having played in the Longest Tennis Match in Professional Tennis. Nicolas Mahut turned professional in 2000 after playing in Junior Tennis for several years, where he won the Sunshine Cup, and U.S. Open Junior Doubles title. He won doubles of Open de Moselle in 2003 and 2004. In the same period he first time reached to the Top 100 of ATP Ranking. He also reached the Doubles Semi-Final of the U.S. Open with partner Julien Benneteau. In year 2007, he reached to the Finals of Queen's Club Championship, where he lost to one of the top tennis player Andy Roddick. In the same tournament he beats Rafael Nadal, a world class Tennis Player. Nicolas Mahut's doubles performance was better than singles. In comparison to 2 Finals in ATP Singles, he has won 3 ATP Titles in doubles. In 2010 Wimbledon Tennis Tournament he was involved in the Longest Professional Tennis Match, which lasted over 11 hours.. He make several other records in this match.